Few words describe Pu2ma’s vocal prowess; even Shirley Caesar could not believe her ears, when she spotted Pu2ma singing in the audience and summoned her onto stage during her visit in South Africa. Earthy, afro-soulful, ethno-trendy, and Afro-jazzy with spiritual undertone is the only way to describe Pu2ma voice and singing capability. Since appearing at the Joburg’s performance circuit, alongside leading afro-soul, jazz and gospel musicians, Pu2ma has already made her mark in the South African music industry. Sympathetically and compassionately shy offstage but astonishingly confident on stage, Pu2ma has a commanding presence that already exhibits an artist of a particular stature, classy, with distinct artistic sophistication. 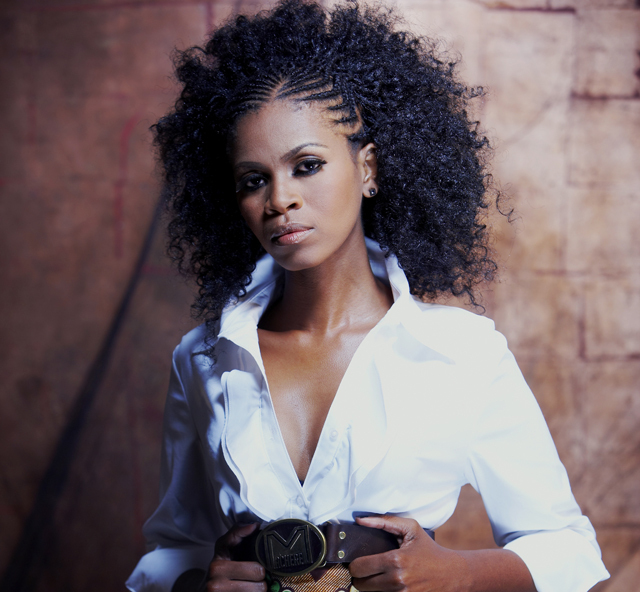 Pu2ma has become the flavour and preferred artist at prestigious and premier concerts and has featured prominently at Hugh Masekela concerts as a guest female artist including in 2011 at the Standard Bank Joy of Jazz International Festival as well as Afro-Café New Year’s Concert alongside the legendary Sibongile Khumalo- a concert broadcast live on SABC 2. Pu2ma was one of the local artists billed at this year’s Cape Town International Jazz Festival which is ranked No.4 in the world, outshining events such as Switzerland’s Montreaux Festival and the North Sea Jazz Festival in Holland. Pu2ma shared the stage with Jun-Luc Ponty, Kirk Whalum, Gill Scott, Brand New Heavies, and many others. This year Pu2ma will tour Europe with Hugh Masekela as part of a Tribute to Mirriam Makeba performance series.